of Hermann von Helmholtz. Born in 1821, Helmholtz was a German physicist and physician who taught at several German universities. 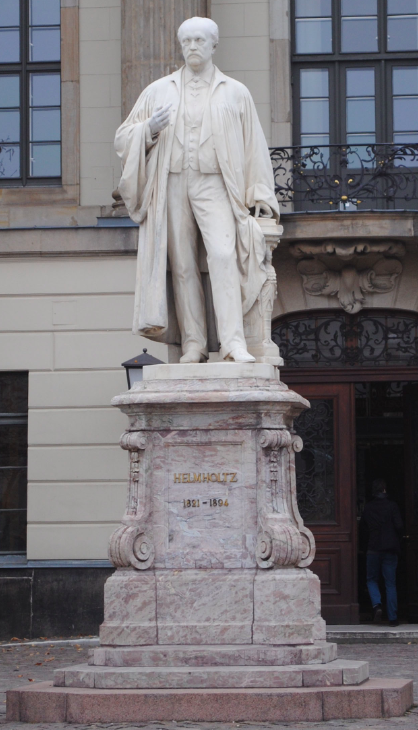 Shortly after Humboldt’s death in 1894, a competition was launched for the design of a monument to honour the great scientist. A student of the Berlin Academy of Art, Ernst Herter who later became a famous sculptor, won the competition and the monument was unveiled in 1899. The figure of Helmholtz is Tyrolean marble which stands on a base of Bavarian marble.